Guyyysssss! I'm a horrible blogger and didn't plan a post for today haha. I'm going to be in some fashion show because a model dropped out, and my friend who is doing makeup asked if I could do it. So I agreed, not knowing what I'm getting myself into lmfao! I figured the designer wouldn't want bright green nails... And there were no polish specifications... Soooo I decided to try out Julep Love! So here's a quick #NOTD. Love came as a freebie in the February boxes. I didn't think I'd like it from the images online, but I actually love Love! :P Love is a "gold, pearl and fuchsia micro glitter". It's so shiny and almost pearly chrome look! I love the way this polish catches and reflects light. I've honestly been obsessed with looking at my nails since I put this on lmao. I did 2 coats of love, plus top coat in these pictures. The application was smooth, a little thick for my tastes but not problematic. No issues with dry time, it dried pretty quickly. I don't think this is available for sale? I can't find it on their site. I'm sure they'll pop up in blog sales though, Juleps seem to be prevalent in blog sales lol. 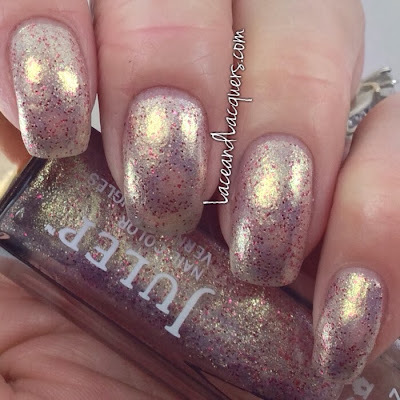 EDIT: Alison F. reminded me that Sinful Colors Gilded is a close dupe to Love! So, what is in a Julep Maven Welcome Box? Monthly Maven boxes are often themed and always contain at least $40 of Julep products for the monthly subscription fee of $19.99. If you're not a Maven, you can always try out your first box for free. 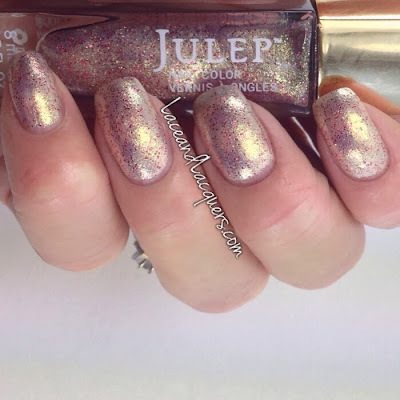 Some people like Julep - some people don't. I don't like their products but I (personally) always like their polishes. It's always a fun thing to receive every month, too! You can always cancel by calling them and letting them know. You can skip months that don't seem like your style. Haha, I've got mine up for sale. :-D It's a near-dupe for Sinful Colors Gilded. Ahhh you're right! LOL I remember picking up Gilded in September going "ew, no". Bahaha silly Lacey! 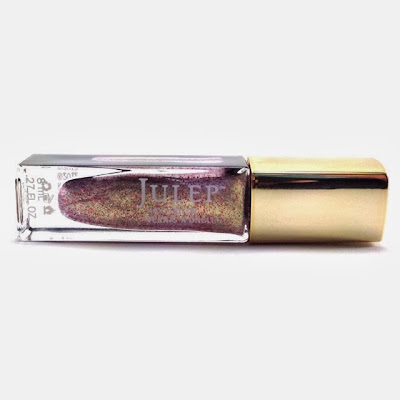 I haven't tried any of the Julep nail polishes, but this one is pretty. In the meantime I will pick up Sinful Colors-Gilded.